Much more than just a restaurant, it’s a real concept of elegance and refinement which the Manoir de la Poterie invites you to discover. 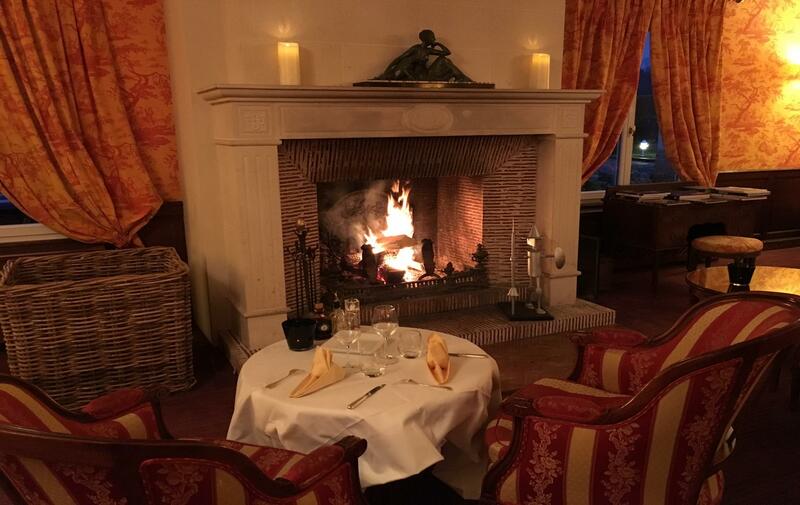 During the winter months, settle in to the Louis XVI restaurant to leaf through the Manoir Collection after an invigorating walk along the seaside which will have whet your appetite. Our Chef invites you to taste a large choice of regional products from the Normandy earth and coast. During the summer months, as the evenings become longer and having just passed a pleasurable time in the Manoir de la Poterie's Spa, you suddenly get an urge for simplicity. Under a starlit sky, you will find our chef close to the barbecue. The smartly laid out tables will be bathed in a friendly atmosphere with local meats and fish on offer to be cooked on the grill in all simplicity. A great end to your relaxing day topped off with wines from our wine cellar. Whether you choose the restaurant’s gourmet cuisine or the friendly atmosphere of a starlit dinner, an unforgettable evening awaits you at the Manoir de la Poterie. At the Louis XVI, the chef of the Manoir de la Poterie invites you to discover its entirely fresh produce gourmet cuisine. All aboard for a voyage through Normandy’s delicious flavours from both the sea and the land, a gourmet journey rooted in the traditions of the land with and adjusted to the chef's inspirations of the moment. Lobster and Foie gras, fish fresh from the sea, escargots from the Auge prairies and Normandy cheeses – matured to perfection. And if you are feeling adventurous and you would like a change from Normandy’s cuisine, we invite you to take a quick trip to Iberia to taste our array of cured meats carefully selected by us. With reference to our wine cellar, let us guide you through our choice of over 100 reference wines. 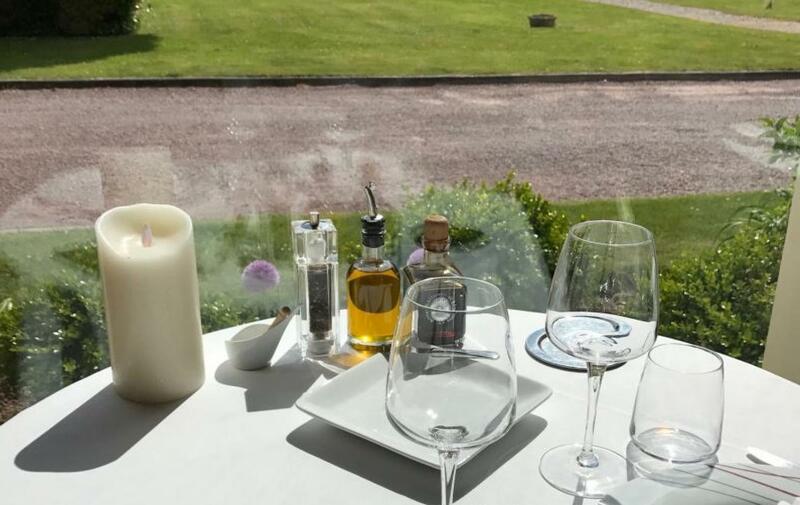 At the height of the season, under the generous Normandy sunshine which is never too hot, opt for a friendly and relaxed atmosphere on the Manoir de la Poterie’s Terrace. The chef has prepared a shorter menu which has our essential dishes, fresh starters with an outdoor feel, meat and fish cooked on an open fire in their greatest simplicity.